Castello Marcantonio is in Cepagatti, in Largo San Rocco. Our location is easy to be reahced, by any direction. Take the “asse attrezzato”, go on for about 15 km; take the exit Penne-Piceno Aprutina (where is the Chamber of Commerce of Chieti). At the circle traffic take the second exit and go on along the main road. 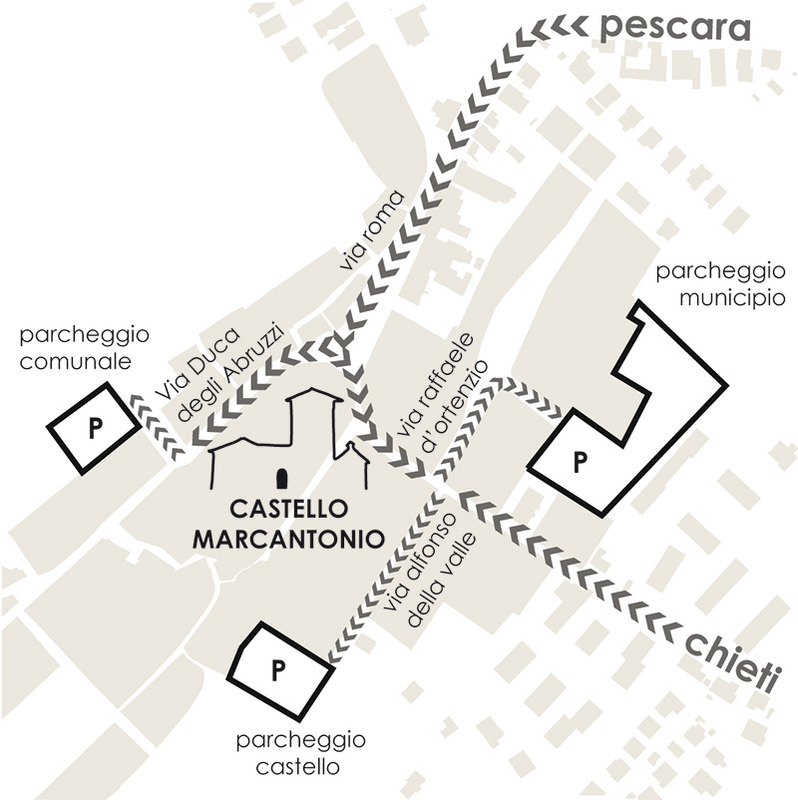 In 5 minutes you are at Castello Marcantonio. 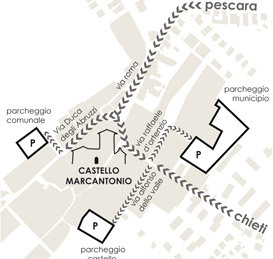 Go on following the South-West direction from Via Madonna degli Angeli, towards Via Porta Napoli. Take Via Madonna della Vittoria, Via Tirino and SP18 towards Cepagatti and go straight for about 4 km. Welcome to Castello Marcantonio. » View larger map on Google.